Believe it or not, the top paid game in AppStore for 2 months has been created with Clickteam Fusion 2.5! 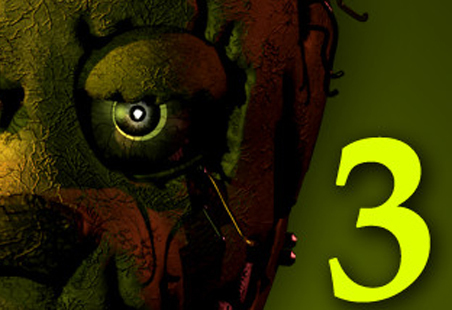 Here is the interview of Scott Cawthon, the author of Five Nights at Freddy’s. Hello Scott! Thanks for accepting this interview. Can you tell us how long you have been creating games? At what age did you start? What was your first machine? My mom bought me a copy of Klik & Play when I was 13 or 14. I was using a 60mhz Acer computer that had 8 megs of ram. Hey that was blazing fast back in the day! What was your very first game? Are you still proud of it today? Did you distribute it? Is there a place where we can see it? My VERY first game involved a blue blob moving around the deck of a pirate ship collecting red gems while menacing pirates ran around on the laziest path movements you can imagine. ALL library graphics of course; except the blob… I drew the blob. I’d say my first “official” game was…. well, Legacy of Flan! It was my first stab at an rpg, some of you may remember it from The Daily Click. And yeah I’m still proud of it. When did you take the decision to actually publish your first game? What was the platform you used at the time? My first try at a professional game was Iffermoon. This was before Steam though and I wasn’t very internet savvy so I just asked for donations through my site. I think I eventually got about $1,000, but it for a charity goal anyway. Are you a gamer? If yes, console or PC, what kind of games? My gamer days are behind me, I’m afraid. When you spend your days making games and then spend your evening with your kids after school, something’s gotta give! Sometimes I do still play a little before bed but it’s only the classics like Ocarina of Time and Super Metroid. I have read that you have worked for 6 months on Five Nights at Freddy’s before publication. Did you work on it alone, or with the help others? No it was just me. Were you using your friends and family as testers? My two sons have always been my beta testers! I have one son who is obsessed with finding secrets and the other is a pro at finding exploits, so it’s a good combination! I also have two close friends who always faithfully beta test for me! The sound ambiance is a great part of the scaring effect of Five Nights. I personally played it (following my son’s advice) at night in the dark with a head-set. The initial scene with the tongue-in-cheek instructions in the loudspeaker is really scary and fun. Was it you who made the sound track? Where did you get your samples from? I have a few websites that I purchase most of the sound effects and music from and then make the rest myself! It’s only been in the last year that I’ve discovered how powerful using the sound channel conditions in Fusion can be. Turning sound channels on and off and raising and lowering the volume of certain sounds can be a huge part of a game experience! Can you tell us a little about your own development process? * Do you write a game-design document, or do you jump into creation? * Was all the principle of Five Night correct from the start, or did it follow a lot of changes in the course of the 6 months? Nothing is ever written (aside from the scripts for “phone guy”.) I usually just get an idea for a game and then toss and turn in bed about it until finally I just start working. From there the game makes itself and it seldom turns out how I’d originally planned it. Do you make a working mockup with blank graphics first, or do you need the real graphics to work? No I use the real graphics right away, otherwise I can’t get motivated for the project. If I’m not proud of the very first piece of work for a game then I quit or start over weeks later. Every element has to be a finished piece. Do you actually plan the development ahead (make a list of all animations and graphics initially, and then only go into product mode), or make them as development goes? Sometimes I do make a list of things that I need to make, not to help me remember, but because it helps me feel like I’m making progress. Feeling like your moving helps you to KEEP moving! During your studies, did you learn the process of creating a game at university, or did you self-taught everything? I went to college for computer animation WAY back in 1996 (I’m old, folks). So that’s where I learned how to create the graphics for my games. As far as game creation itself, it’s self taught. Do you have heroes in game creation? Honestly, DTownTony really kind of inspired me with his success with Pocket Ninjas. He made a great article on the forums about how to do IAP’s and told his story about his game. It really made me take game-creation in Fusion more seriously and made me think of it as something that I could do for a living. What are the tools you use to create the graphics and animations? I use 3ds Max for the graphics. It’s a great program but it’s expensive. I’ve been using it now for over fifteen years. 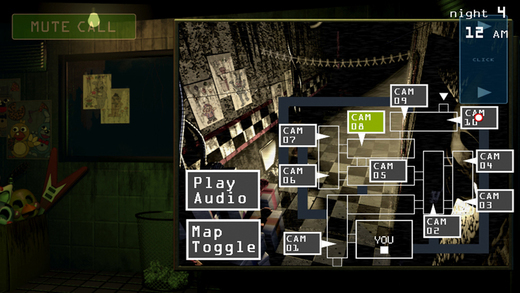 Five Nights was programmed using Clickteam Fusion. What directed you to use this tool? Have you created other games with the tool? It’s the only tool I’ve ever used to make games. I started going back to college a few years ago to learn Unity but realized it would takes me years to catch up to my current skill level in Fusion. I made a call to stick with what I knew, and I’m glad I did. Unity is still a good program but at the heart of any good game is a good idea, regardless of the tool you use. What other game-creation engines do you use (or have used)? As I mentioned above, I tried Unity and enjoyed it, but it wasn’t a good fit for me at the time. I also learned Torque 3D a little bit but frame rate was always an issue. Did you face technical difficulties (induced by the tool) in the creation process? Have you found help on the user’s forums? Sure there are always issues here and there. I had a hard time porting it to iOS because of a bug with layers (I think it’s being worked on), but I was able to find a work-around and posted it in the forums to help others having the same problem. I also can’t seem to export a working version for Windows Phone but I blame Microsoft for that. The forums at Clickteam have always been a great help; someone usually responds with something helpful within a few hours. The game was published in summer 2014. When did you actually realize that it was going to be a hit? As soon as Let’s Play videos started popping up faster than I could watch them, I knew I had something special. Did you feel inside you when the game was over just before publishing, that it was different from the other horror games? Did you make some test (at night in a silent room with your friends and family? Did you expect this massive success? I didn’t expect the game to be this successful but I knew it was going to do well from the first time I tested it and the game scared me. 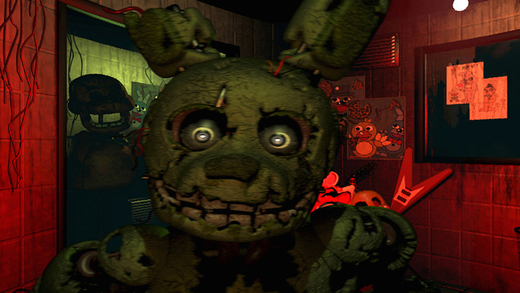 I had just finished programming Bonnie the rabbit to move around and had a still image of him up in your face for when he got into the room (it wasn’t animated yet). Well I wasn’t expecting him to be there and I lowered my camera and there he was! I jumped! It was a cool feeling. I’ve jumped even more from the sequel- Foxy is going to scare the crap out of people in the new game! Did you receive negative comments, hate mails from offended people? Not much hate from the first game but I’ve gotten a lot of hate mail about the teaser images for the second game, and I’m totally ok with it! All they see are the teaser images, they have no idea how it all fits in. Strong opinions and heated debate aren’t a bad thing at all, anything that keeps the fire burning is a good thing! Have you got an explanation about its massive success? Chance? Talent? It was kind of an untapped idea- using animatronics in a horror game. Plus, I wasn’t using Unity. Unity is used for 99% of indie horror games, so because I used Fusion and pre-rendered images, it gave my game a unique look, and I think it made the game scarier because of it. I think it’s the combination of talent, a good idea, and the right timing. All the games you currently publish have a very low price point ($5). Why sell your games so cheap? When dealing with app stores and any market that it flooded with games, there is something more important to consider than your asking price- staying at the top of the list! If you don’t stay on a visible list, your game will get buried. Having a low price keeps you on the sales charts. If you drop off that list you’re game is finished. 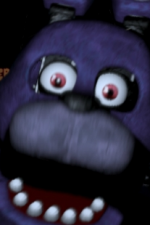 Are you going to raise the price of Five Night 2? The sequel will probably be $10. It’s going to be a bigger game! You released an Android version and an iOS version very quickly after the initial PC release. Is there a lot of change in the Fusion code between these versions? What was the success of these versions compared to the PC version? The iOS market is the most profitable, with Steam close behind. Android is surprisingly in last place. The code for the game stayed the same with the exception of sound channels. Unfortunately changing sound channel volumes only works with PC so I had to eliminate that from all ports. Five Nights 2 will be out on Christmas. Was such a short development possible by the use of Clickteam Fusion? I know Fusion like the back of my hand, which is wonderful. When you know the tools then you can concentrate on game creation! Did you involve more people in the creation of Five Nights 2? A more structured development team? A Question many people may ask : are you actually rich with Freddy’s? Also, out of curiosity, how do you find the payment schedule from Steam Sales? I make enough to keep the lights on! Steam has the same delay as iOS and Android- you get paid at the end of the next month. So at the end of October you’ll get paid for September’s sales, etc. What distribution platform would you recommend to other Indie authors? iOS is the most crowded, BUT if you can crack it then it’s the most profitable. A PC release on Steam has the best return overall but you have to convince people to greenlight your game first. Before Five Nights I had zero success in the mobile market; it’s a tough nut to crack. My best advice is to make games that can easily be ported to all platforms for the widest chance of success. Do you make a living from creating games as an Independent author? Now I do, yes. Before this I’ve always had to balance a job at the same time. Have you become a local hero in your town in Texas? Heck no. No one even knows I’m here. Mom is proud, lol.